The Present Running Operating system is Windows 10. But lot of people using windows 7 and 8 and some people windows xp . some people like windows classic theme very much which is inbuilt in Windows xp and 7. but the windows 8 and 10 is not included that theme, If you do not like that colorful and Graphical effects themes which is inbuilt in windows 10 then don't worry i am here to give a superb solution for all. and give best solution with the windows classic theme. 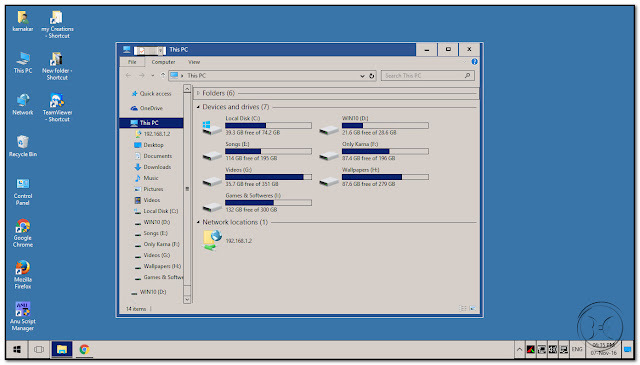 Microsoft removed the windows classic theme in the windows 8 and later version so that i am providing windows classic theme here. but remember this theme majorly used for improving our system performance only . Especially amazing blog,I truly require that sort of post,thanks for offering to us.I trust you will post that kind blog in future.